Check Out a New Titanfall 2 Cinematic Trailer! The wait for Titanfall 2 is nearly over, and it contains a major element that was missing from the original installment in the series. Electronic Arts and Respawn Entertainment launched a new cinematic trailer this week for Titanfall 2. You can check out the new video in the player below. The new video features new footage and showcases more of the brand-new single-player campaign for the game. In the new storyline, a pilot and a titan have to come together to overcome the odds. This will be a major addition for the game as the first Titanfall did not have any sort of single-player campaign. So it should be interesting to see how this campaign turns out. The new footage sells how formidable pilots are when they are linked with their titans. Hopefully, this new campaign from Respawn pays off. 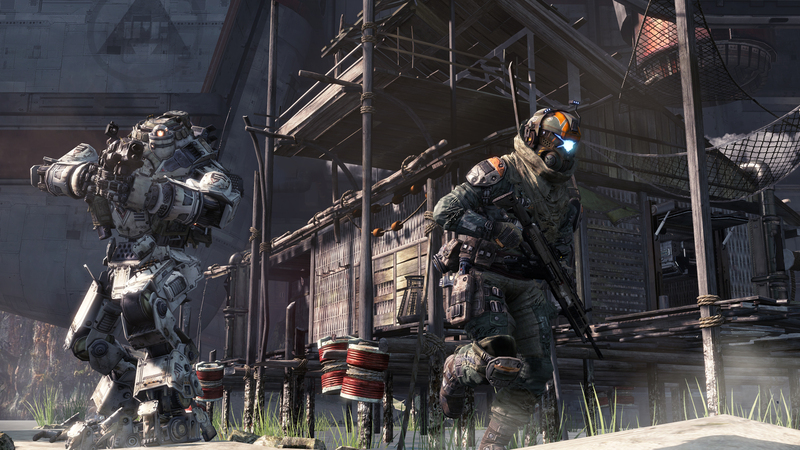 Titanfall 2’s release is just around the corner. The game finally arrives on October 28. It will be available for PlayStation 4, Xbox One and Windows PC. The game will feature six new Titans and new Pilot abilities, as well as a new customization system, new gameplay modes and more. Players will be able to fight in the dominant Titans or on foot as a Pilot. New Titanfall 2 Developer Video Explains Improved Matchmaking! Check It Out Here!